“City Master, the agreement made back then between the Su and the Liu was witnessed by the entire city. Su Yi also made it back from the Forest of Demons after three years. This is enough to prove that he is fated to be with that little girl, Liu Ruoxi. Let this matter end per our initial arrangements,” Su Yun Tian looked at Liu Zong Yuan. The wrinkles on his face were as if flowing water mercilessly carved them on his face as time passed over the years, but his eyes were deep and exerted an air of authority. Liu Zong Yuan understood. The Old Master was trying to hint that Su Yi received no help from the Su Family in the three years during his exile in the Forest of Demons and now that Su Yi had returned alive, naturally, it could not be forgotten about easily. “What a Sacred Mountain! This matter was set in stone ages ago. 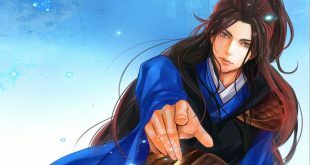 If Sacred Mountain continues throwing its weight around like this and be unreasonable, I do not think that it will be good for you when this matter gets out,” Su Yun Tian looked straight at Wang Quan De and said. Wang Quan De’s expression changed in his heart. From the faces of everyone in the area, this Su Yun Tian’s position in the city was extremely high. Wang Quan De does not fear Su Yun Tian, but if he forces a hand in this today, it truly does not benefit Sacred Mountain. Even though this city was only a small place, but because of Liu Ruoxi’s position in Sacred Mountain, this was a matter of high importance. If he does not settle this well today or stir up a huge trouble in the city, it would also be hard for him to report back. When such a youth walked out, the eyes of everyone fell on him. On Wang Quan De’s somber face, a flash of emotion shined past his eyes without leaving any traces. He remained silent, consenting to the young man’s words. That beautiful young lady around 15-16 years of age was also on the stage now. Thoughts brewed behind her eyes as she continued observing Su Yi. “This is also fine. Ji Chao and your age are similar. If you can take two blows, that would mean that you have the right to enter Sacred Mountain. If not, then even if this engagement is valid, null it!” After pondering, Wang Quan De opened his mouth. He looked at Su Yi and grinned coldly. Maybe this matter should be left to the young ones. Wang Quan De was very clear about Ji Chao’s ability. Just a piece of trash like him, do not even talk about two blows, he might not even be able to take a single blow. If this matter could be settled like this, then all will be well. The entire venue was silent. All eyes were on Su Yi, wondering if he will choose to spar with the disciple from Sacred Mountain. Old Master Su Yun Tian said nothing, his eyes still calm. Ji Chao coldly smiled. He lifted his hand and pointed at Su Yi. This time when he came out for experience, he only thought that this was just a simple task. Never would he have thought that he would meet something like this. A person with errand boy’s talent dares to lust after junior Liu Ruoxi. If this was on Sacred Mountain, everyone would have laughed their teeth off. Su Yi slightly raised his eyebrows. Under the gazes of everyone, this battle must be fought. Slightly smiling, Su Yi walked forth with a grin on his face. Since this battle could not be avoided, then just march on bravely. For the past three years, it was not as if he did not fight with any strong people. When Su Yi walked out, the Old Master Su Yun Tian’s calm eyes finally showed some change, but without leaving any traces, his eyes regained its calm. “I knew it. How would Su Yi not dare? Challenging us on our home turf, let him have it!” Amid the dense crowd, Fatty Wang was squeezed inside. On his chubby face, his eyes squinted into a thin line. Seeing that Su Yi would respond to the challenge, he grew excited immediately. He was already not cool with that young man’s arrogance. But afterward, a middle-aged man sitting beside Fatty Wang stared at him. Fatty Wang lowered his hand and did not dare say another word. Following Su Yi’s agreement to the fight, the emotions in the hearts of the upper ranks of each big family changed greatly. Even though Su Yi had entered the Yuan Soul Realm, but this Ji Chao was a disciple of Sacred Mountain. One look was enough for people to tell that Ji Chao was far stronger than Su Yi. Furthermore, everyone could tell that although Wang Quan De said Ji Chao’s and Su Yi’s age were similar, it was obvious that Ji Chao was still older. Along with Sacred Mountain’s nurturing, Su Yi and he would have a difference of heaven and earth. The corner of Su Jing Ting’s mouth bled. Seeing Su Yi walk out, he wanted to say something, but seeing that the Old Master remained silent, he stopped. Su Wei stood beside Su Jing Ting. Seeing all of this, his gaze was very cold. When Ji Chao saw Su Yi walk forth, a cold smile crept up his face. He did not think that this kid did have some guts and dared to respond. Maybe it was just recklessness. But afterward, Ji Chao’s face also fell. It seems like this kid is not putting him in his eye after all. Ji Chao smirked. He did not express his mockery on his face. How would he put some brat from a tiny remote city in his eyes? Ji Chao’s words instantaneously made the youths present unhappy. He was scolding everyone. “What was your talent back then?” Su Yi looked at Ji Chao and asked casually. Ji Chao replied. His eyes having pride in them. King Grade Talent, even at Sacred Mountain, it was also a rare sight. Hearing his words, the youths in the surroundings were shocked. Even though they were unhappy with that Ji Chao, but their eyes leaked yearning and jealousy of his talent. King Grade Talent, destined to become an expert. Su Yi opened his mouth, looking at Ji Chao, he gently smiled and said. When Su Yi’s words rippled outwards, many people in the surroundings started guffawing, like they were taking revenge. From this second forth, many people had a better impression of Su Yi. The eyes of the upper ranks of the big families also showed movement. This Ji Chao had insulted the entire city. Due to Sacred Mountain, they could not say anything. But as a part of the city, of course, they were unhappy. Hence, they could not help but feel good at Su Yi’s retort.